The gentle sound of the Spanish guitar is heard by the audience and a fragrant smell of roses is present in the air. The tension is building, as the bull looks at you in the eye. The crowd goes crazy as you almost get hit, but here you are “El Toreo”! 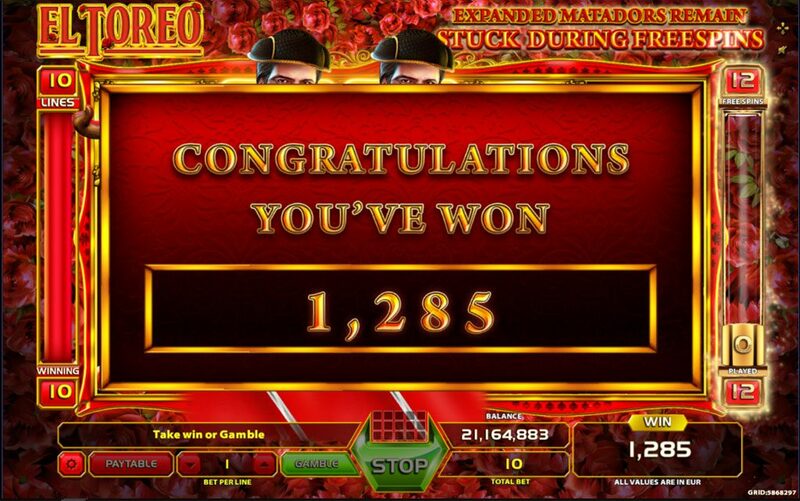 <br><br> Welcome to this 5 Reel 10 Payline slot “El Toreo”! 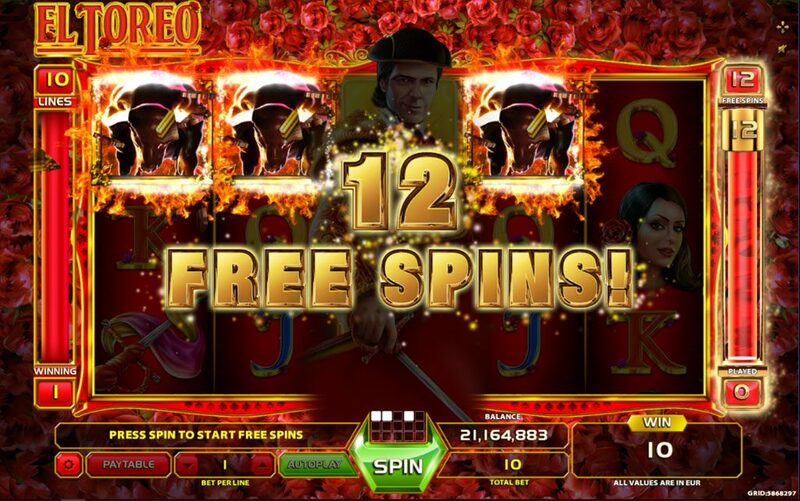 Look at the bullseye and gain glorious free spins that are triggered by 3 bull symbols on any Reel! 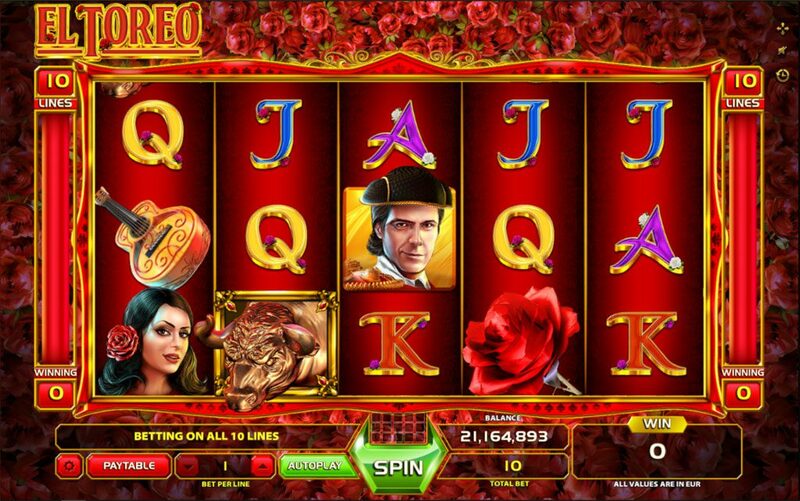 When 3, 4 or 5 such symbols appear you will trigger a session of 12 FREESPINS! And where there is the bull, there is also the bullfighter! 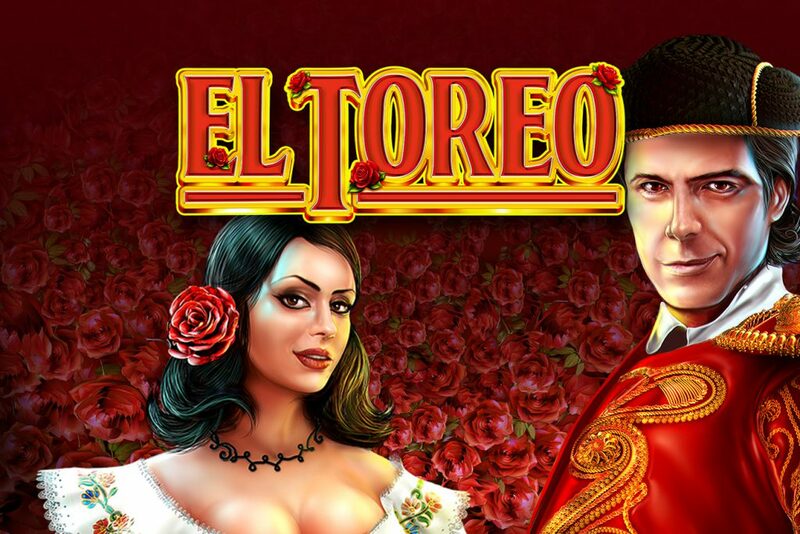 With some luck “El Toreo” will appear as a WILD on reels 2, 3 and 4 during your free spin session, expanding all over the reel dominating the game! The stage is set! The crowd is cheering. Enter the ring! <br> Olé!